It was at roughly the same time that Jamie Carragher, speaking in the Sky Sports studio, accused him of having “too much faith in certain players” that Jürgen Klopp sat in the press room at the King Power Stadium on Monday night and pondered this same point. The question, to be specific, was whether Klopp, having seen his Liverpool team blown away by a re-energised Leicester City side, had now concluded that some of the players might not be as good as he had first imagined. 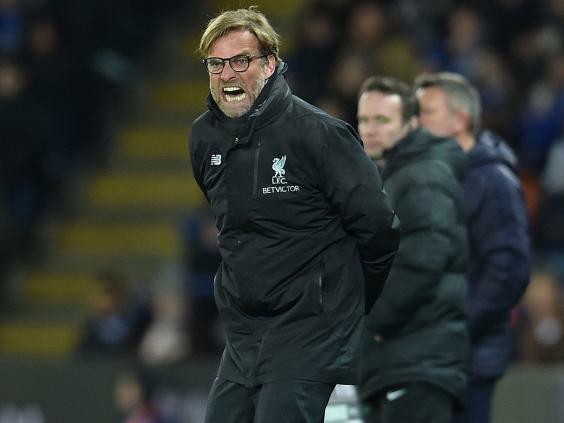 It led to an intriguing pause as Klopp, who – quite understandably – searches harder for the right word in defeat than victory, collected his thoughts. There was a “yeah” and an “um”. Then, before proceeding, he injected some humour – “getting more serious now” – yet the Liverpool manager will know that his team’s slide over the past couple of months is no laughing matter. When Klopp arrived at Anfield in 2015, he insisted there was no need for “magic dust”. The players he had inherited, he said, knew how to play and the job now was to help them show it. Fast forward to Monday night and the message appeared a little more layered. Liverpool’s players, he said, might “need my help more to show it every week”. Yet there was an acknowledgement too that “we all play, myself included, for our future”. The future is once again a matter for debate at Anfield in the face of a damaging run of two wins in 12 matches since the turn of the year – one in seven in the Premier League – which has imperilled their hopes of Champions League qualification. When Liverpool defeated Manchester City on New Year’s Eve they were second in the table, with a four-point cushion over third-placed City. Manchester United lay seven points adrift in sixth. By contrast, by the time Klopp’s men kick off against Arsenal on Saturday evening they could be as low as sixth, a point behind United, who host Bournemouth in the day’s early kick-off. It is this slide, this alarming loss of momentum – not helped by the midwinter absences of Sadio Mané and Philippe Coutinho, nor, some might argue, by their inactivity in the January transfer window – which has left Liverpool’s autumn climb to the top of the table feeling like a distant memory, and raised the question about what comes next. Liverpool’s defensive struggles indicate the need for a goalkeeper, a centre-back and a left-back, just for starters. 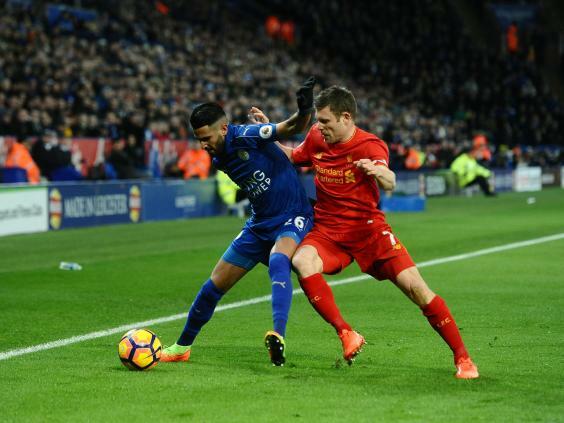 Lucas Leiva, deputising at centre-half for the injured Dejan Lovren, and James Milner, a season-long stand-in at left back, were exposed badly at Leicester. Indeed for Liverpool followers, Monday must have felt like Groundhog Day. With 33 goals conceded in 26 games, they have only the tenth best defence in the division and this has been a problem for the best part of a decade now. Last season they conceded 50 goals at an average of 1.32 goals conceded per game; this season’s average is almost the same at 1.27. In 2014/15 it was 48 goals against. In 2013/14, it was 50 – but the goals of Luis Suárez and Sturridge propelled them to second place. You have to go back to 2010 for the last time Liverpool ended a season having conceded less than a goal a game. It is no coincidence that their last serious push for the tile, in 2008/09, ended with them breached only 27 times under Rafa Benítez. 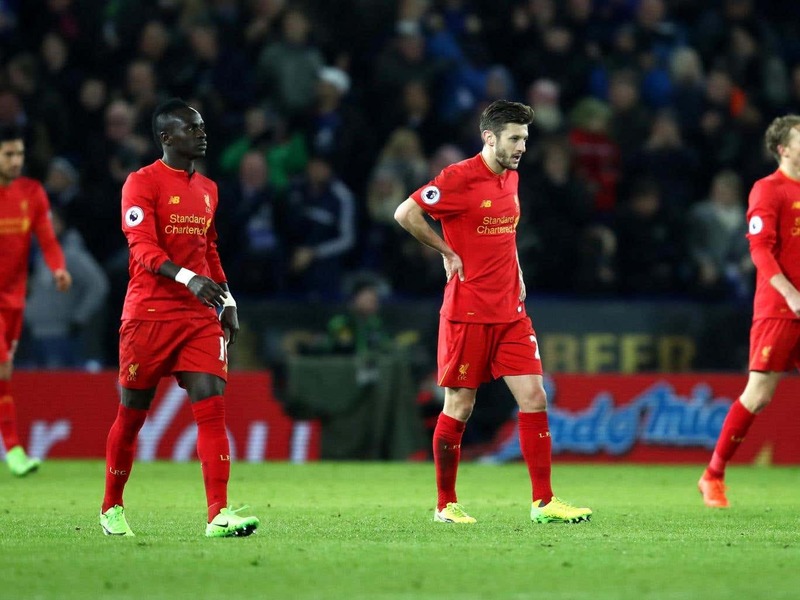 Another source of frustration on Monday – and that ‘here we go again’ sinking feeling – was that it was Leicester inflicting the damage. Since the turn of the year Liverpool have beaten Tottenham Hotspur convincingly and drawn with Manchester United and Chelsea. Yet they have taken just one point from their four matches against Sunderland, Swansea City, Hull City and Leicester. As Carragher pointed out on Sky, Vardy’s sprint behind the high line of Liverpool’s defence to score was a repeat of Everton outcast Oumar Niasse doing the same to them for Hull. The successful Liverpool of old were a winning machine, just as Sir Alex Ferguson’s Manchester United became after them. “They said we were predictable,” said Bill Shankly. “Well, I think anybody who is unpredictable is a waste of time.” What he would make of this Liverpool is a moot point – perhaps he might actually point out that their ups and downs have made them only too predictable. “We have to start winning,” said Coutinho at the King Power, and it can only perhaps mean one thing – a victory against Arsenal on Saturday.